After the flowering this the time of the year I like most. The embryo bunches evolves into clusters. 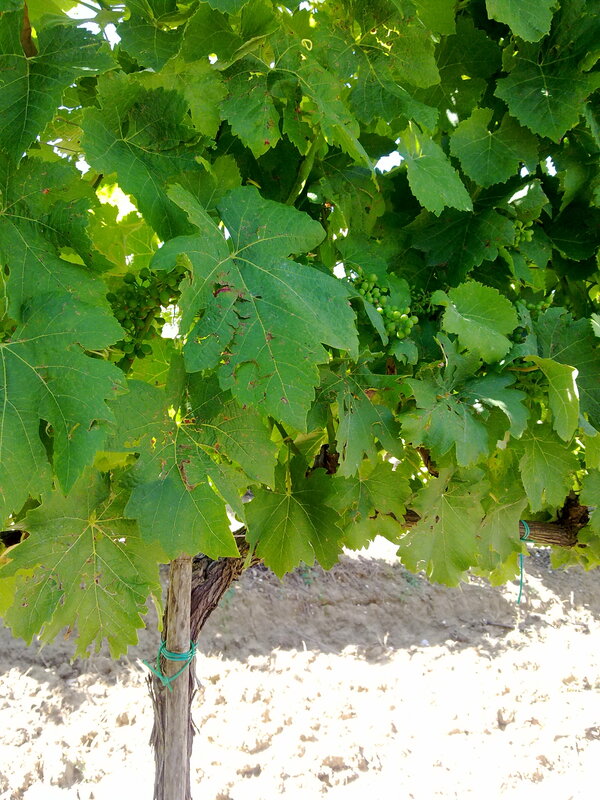 The first visible sign of fruit that will produce the wine. Each variety will have its own number of bunches. This moment of the year is called” fruit set”. Orvieto never ceases to amaze. Suspended in the clouds, when the fog of the early morning surrounds, leaving only the castle and its beautiful Cathedral. Kissed by the sun, as if by magic illuminates the medieval town and almost seems to be able to touch it. In the rain, covered by black clouds. Around the tufo rock wine is made from ancient times with the local varieties Grechetto and Procanico, a wine that knows how to express itself differently thanks to the work of some producers faithful to a unique terroir which still has to be known. On the Pliocene of Orvieto, where millions of years ago a sea called Tethys Ocean covered this land, Barbi family in 1973 buy Decugnano historian plot. The Church, already in the middle ages, aspired to wine of these lands, as evidenced by some contracts of 1212. A production that almost certainly predates the middle ages with the presence of beautiful caves, still dedicated to the most important wines. Visionary and far-sighted, Claudio Barbi restores life to an abandoned farm inspired France and great Chablis. In fact, at Decugnano he is convinced of having found those territorial characteristics capable of expressing a quality wine, very close to the French world which he so loved. And so begins the work of replanting, thickening of the vines per hectare, yield reduction, experimentation with local and international varieties, also one of the first experimentation in making sparkling wines with the classic procedure in Umbria. 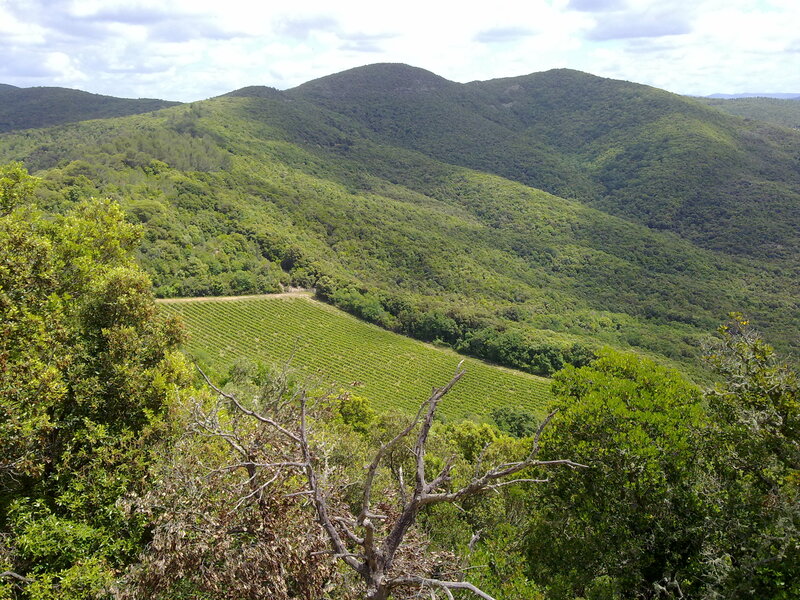 The aim is to obtain a quality wine that is true expression of a territory. This side of Orvieto is characterized by soils of marine origin, rich in fossil shells, well-drained and easily penetrable by the roots of the vine. Here the Orvieto Classico is expressed with elegance always installed, proper acid ratio-tangy, balance and structure. On the opposite side of the rock of Orvieto, Palazzone winery follows the same criteria of work. Here too we find a family of Northern Italy, who in the early 1960s, when all fled from the countryside, decides to buy an old farmhouse with a beautiful building. Historical records tell us that the structure, now known as “Locanda Palazzone”, was built in 1299 by Cardinal Teodorico for the first Jubilee proclaimed by Pope Boniface VIII. Giovanni and Lodovico Dubini fall in love with this area and begin a long process of territorial recuperation: replanting, restructuring and experimentation with local and international varieties, including the first Viognier, unknown in the area. The sedimentary clay nature of these lands is expressed in their wines rich in substance, fleshy and structured, full of color, body and extremely long-lived. Here the Orvieto Classico reveals his ability to last over time until reaching equilibrium and harmony, “wisdom” organoleptic and pleasant taste. But a wine without local food is like a body without a soul. The Italian culinary tradition is inseparable from drinking and regional excellence in Orvieto also not lacking. At the restaurant La Rocca there is a skilled team and a local menu modern twist. At the liver terrine made in the Orvieto’s style, accompanied by White Altarocca of 2010 Chardonnay own production follows a risotto with pears and pecorino cheese sauce with “Lavico”: a wine made from Cabernet Sauvignon and Merlot, round, fruity and mineral perfect reminder of the proposed plate. But could not miss the pigeon breast stuffed with pistachio on braised fennel and onions. The pigeon is part of the culinary heritage of the Renaissance, when at the “Rocca” were bred birds providing meat for the inhabitants, in case of siege enemy. Attentive service and accurate, to the care of cooked meals, the perfect cooking of food, the desire to match their wines. A young reality the one of Altarocca, born about ten years ago at the behest of the family Ciprini. Theirs is a quest for taste, who wants to complement the work of restoration, with an on-site production result of generous land and suited. If you ever feel inclined to stop in Orvieto, these are just some of the excellence of the place: a millennial territory, rich in history and culture, traditions and art, passion and feeling. Vineyards at San Guido winery where the famous Sassicaia wine come from. If you want to be a good wine expert you need to travel, you need to see, you need to taste..I try my best! This time I was in Tuscany and this was the best vineyards I have ever seen! !